The Ambience range has been developed with world leading glass manufacturers to ensure that there is a broad choice of specialist glasses available to cater for all tastes. 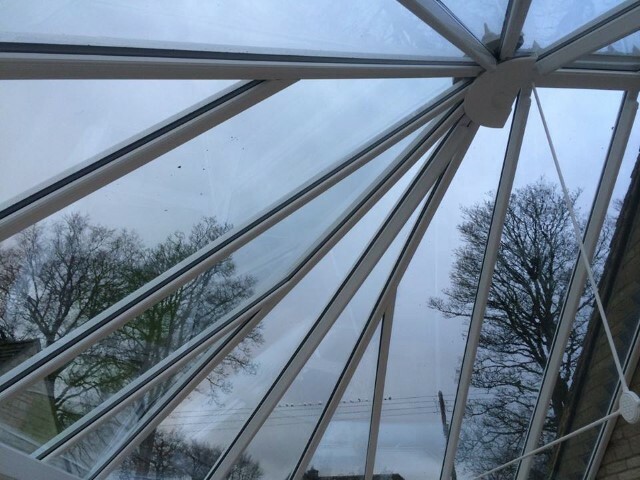 Choosing the right high performance roof glass for any conservatory installation is the most important element to ensuring that a conservatory can be used all year round. There are many things to consider including location, temperature control, maintenance, aesthetics and durability. These provide incredible benefits including year round comfort, self-cleaning properties, reduction in energy bills and beautiful visual options to suit any property style.The Ambience range includes Ambi-Aqua, Ambi-Blue, Ambi-Neutral, Ambi-bronze and Ambi-Satin Privacy glass roof options. Our self -cleaning products have been certified to EN 1096-5, the new European Standard for self-cleaning glass. The new standard tests and classifies the performance of products that use hydrophilic and photocatalytic properties to enhance glass cleanliness. EN 1096-5 certification will enable specifiers to differentiate between products with an official self-cleaning performance, and those without. These exciting new products now enable any conservatory owner to personalize their new, or existing, conservatory with stunning high performance glass, making it a place of complete comfort and relaxation.